Welcom to Yuasa laboratory ! Our purpose is to create new devices by utilizing Spintornics of the magnetic materials. The Internet of things (IoT) society is ready to spread in the world, which connects not only electric information but also the things and people. Because the both quality and quantity for IoT electronic devices become required higher than ever before, the more innovative technologies are needed and studied in various science fields. Spintronics of magnetic materials is one of candidates. In spintronics the spin plays an important role as well as electron. This is why Spintronics has the potential realizing the green devices without Joule energy loss. Now is the favorite time to study Spintronics toward the future electronic devices in order to contribute the future society. ○April 5, 2019 We welcomed three B4 students and had the welcome party. ○February 6, 2019 We held the lecture "Spin current -physics and application-" presented by Prof. E. Saitoh from Tokyo University. We would thank Prof. Saitoh and the audience for exciting discussion. 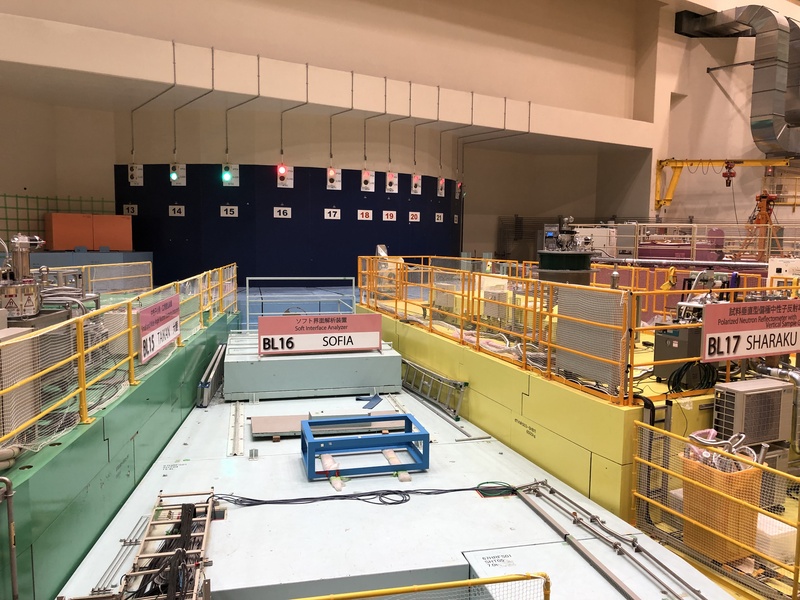 ○January 26-31, 2019 We carried out Polarized Neutron Reflectivity measurements in J-PARK. We would like to thank Dr. Hanashima for his kind corporation. ○November 2, 2018 De. Berger(nanoGUNE Research Director) gave the lecture "Ellipsometric analysis of magneto-optical effects in thin films, nanostructures and spin transport devices". ○November 1, 2018 Dr. kurokawa(Assistant Prof.) presented the interm report of Program of international network for young researchers, "Fbricational of sub-micron magnetic devices toward novel spin devices though internatonal collaboration" carried out at Johannes Gutenberg University Mainz. ○September 28-29, 2018 We attemded 4th group meeting at Grant-in-Aid for Scientific Research on Innovative Areas, MEXT, Japan, Nano-Spin Conversion Science and had two presentations. ○September 27-28, 2018 We attended committee of joint conference of electrical, electronics and informatin engineers in Kyushu and had a presentation. ○September 18-21, 2018 We had 2 presentations at the 79th JASP Autumu Meeting 2018. ○September 9-13, 2018 We attended 2018 International Conference on Solid State Devices and Materials(SSDM) in Tokyo and had two presentations. ○Septembrt 3-7, 2018 Dr.Kurokawa showed a presentation at The Joint European Magnetic Symposia(JEMS)　（Mainz). ○July 16-20, 2018 We will have a presentation at International Conference on Magnetism（ICM2018）in San Francisco. ○June 3-7, 2018 We have an invited talk at The 5th International Conference of Asian Union of Magnetics Societies (IcAUMS 2018) in Jeju. ○April 25, 2018 Dr. Kurokawa, Assistanc Professor, will stay at Prof. Klaui laboratory in Mainz, Germany for about four months.We had the farewell party. ○April 9, 2018 We welcomed three B4 students and had the farewell party. ○Mar 17-20, 2018 We will have 9 presentations at the JSAP Spting Meeting, 2018 at Waseda Univ. in Tokyo. ○Mar 15, 2018 We have an invited talk at the 2018 annual meeting of the institute of electrical engineers of Japan. 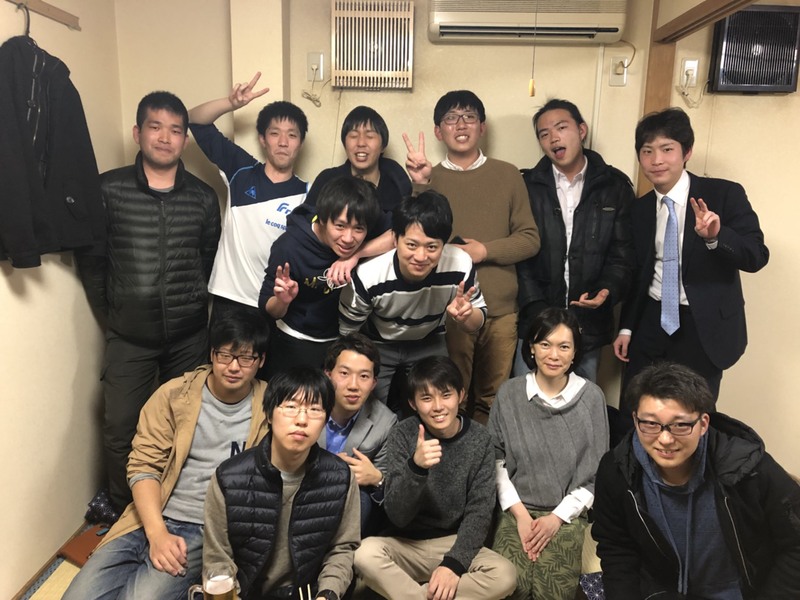 ○Mar 13, 2018 We had a farewell party for graduates. We wish their success. Good luck!. ○Mar 1, 2018 We reported our activity at Spin-RNJ Symposium 2017. 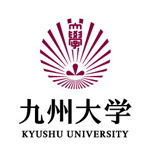 ○Jan 15, 2018 We will have two invited talks at Joint workshop btw SKKU and Kyushu University　"Emerging materials and devices" held Kyushu University. ○Jan 10-11, 2018 We will have an invited talk at Reimei/GP-Spin/ICC-IMR International Workshop "New Excitations in Spintronics" held in Sendai, Japan. ○Dec 18-20, 2017 We will have an invited talk at 3rd Japan-Korea Spin tronics Workshop held at KIST in Korea. ○Nov 6-10, 2017 We had two presentations in 62nd Conference on Magnetism and Magnetic Materials held in Pittsburgh, US. ○Sep 19-22, 2017 We attended The 41st Annual Conference on MAGNETICS in Japan held in Fukuoka and had three presentations. ○Sep 8-9, 2017 We attended the 5th Seminar of Ferroic-ordering and their manipulation in Fukuoka. ○Sep 5-8, 2017 We showed two presentations at the 78th JSAP Autumn Meeting 2017 in Fukuoka . ○June 22-23, 2017 We had an invited talk at York-Tohoku-Kaiserslautern Research Symposium on　"New-Concept Spintronics Devices" in York. ○June 14, 2017 Website has been renewed. Theme is "Current induced domain wall motion in multilayered ferromagnetic wire with two heavy metal layers". ○June 5-8, 2017 We showed 5 presentation at　SpinTECH IX. ○May 22, 2017 We attened the presentation ceremony of Tateishi Science and Technology foundation. Theme is "Developement of thermogenerator by huuman body heat for wearable device". ○Apr18, 2017 We attened the presentation ceremony of The Canon Foundation. Theme is "Spin torque oscillation in the quasi antiferromagnetic layer toward next-generation MRAM". ○Apr1, 2017 Dr. Kurokawa joined us as an Assistant Professor. ○Mar 14-17, 2017 We attended the JSAP Spting Meeting, 2017 in Yokohama and had five presentations. ○Mar 6, 2017 Several equipments has been moved from Sahashi lab. at Tohoku univ. ○Feb 17, 2017 The undergraduate students presernted their undergraduate research. ○Feb 1, 2017 The sputtering machine has been reconstructed. ○Dec 22, 2016 We held a year-end party. ○Dec 16-17, 2016 International School on Spin tronics and Spin-Orbitronics will be held. ○Dec 15-16, 2016 We will hold the special lecture. ○Dec 10, 2016 Mr. Hirayama (M1) will have a presentation at the acadmic meeting organized by the Kyushu branch of the Physical Society of Japan. ○Nov 2, 2016 We had two presentations at MMM2016 in New Orleans. ○Oct 20, 2016 Mr. Nakamura and Mr. Hirayama had presentations at IEICE Technical Committee Meeting on Magnetic Recording (MR). Mr. Nakamura has the received Magnetic Recording (MR) chairperson award. ○Oct 13, 2016 We had an invited talk at EMN Las Vegas meeting on Spintronics. ○July 28, 2016 A sputtering equipment was carried in to our laboratory. This equipment is assembled for approximately one week. ○June 10, 2016 Spintronics academic collaboration center Kickoff and symposium will be held at Osaka univ. 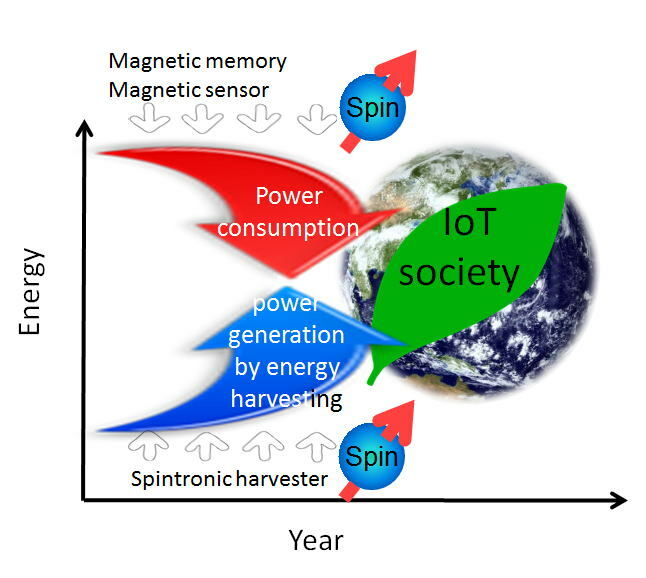 ○May 27, 2016 We presented the spin seebeck effect toward IoT at the nanomagnetics workshop of The Magnetic Society of Japan. ○April 1, 2016 College seniors and master's course students joioned our laboratory. ○Mar 2, 2016 We enjoyed a dinner with the lecturer of two seminars. Mar 2~4, 2016　The seminars will be held where the lecturer is Prof. Hirohata from Unversity of York. On March 2 and 3 we focus on the Spintronic topics. On March 4, the subject is "career design in global age". Anyone will be very much welcomedfrom undergraduate students to senior researchers! ○Mar 1, 2016 We will introduce our laboratory research to junior students. ○Feb 16, 2016 The oral examination of graduation work has been finished. ○Jan 26, 2016 Senior student showed our laboratory research for freshmans in department of Electrical Engineering and Computer Science. ○Jan 11-15, 2016 We attended the Joint conference of MMM/INTERMAG ad San Diego. ○Dec 22, 2016 We enjoyed a Year-end party with Tate laboratory. ○Dec 18, 2016 We will have a special lecture in Univ. of Tokyo. ○Dec 5-6, 2016 JSAP Kyushu Chapter Annual Meeting 2015 will be held in Ryukyu university. The title of the special common seminar is "Spintronics from introduction to application and fronteer". ○Nov 20, 2016 Our research project has been adopted by JST Strategic Basic Research Programs, PRESTO. ○Sep 24-25, 2015 The lecture of spin current "Spintronics and spin current" will be hled in Sendai. Let's enjoy discussion! ○Aug 5, 2015 We will hold an oped lecture "Information science and electric engineering for daily life". Place: Saitopia (close to the KyudaiGakkentoshi station), Time:13:50-18:00. Reservation is not necessary. ○July 14, 2015 We attended International Workshop "Nano-Spin Sciences II " organized by Prof. Kimura in Kyushu university. ○June 25, 2015 We had a discussion meeting about spintronic applications with grad students and researchers at Physics depertment of Keio university. ○June 24, 2015 We had a lecture about magnet to spintronics for freshers at Keio university. ○April 1, 2015 Our laboratory has been set up.